Hilo Bay is beautiful. From one end you can see majestic Mauna Kea with its snow capped peaks in the winter, and from the other you can see peaceful Coconut Island alongside the luscious landscaping of Lili`uokalani Park and Gardens. On some days you can watch canoe paddlers in the bay navigating its gentle waves, and fishermen casting their lines along the distant breakwater. But the blue bay’s beauty can be deceiving. It's funnel-like underwater shape amplifies incoming waves, which can be catastrophic during tsunamis. 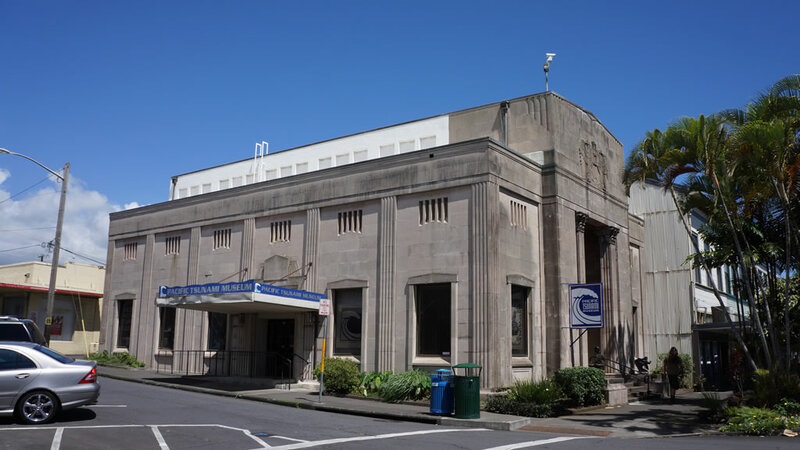 April is Tsunami Awareness Month in Hawai`i, so it’s the perfect time for you and your family to learn about Hilo’s history with the ocean and how to prepare yourself at the Pacific Tsunami Museum’s Children’s Day! 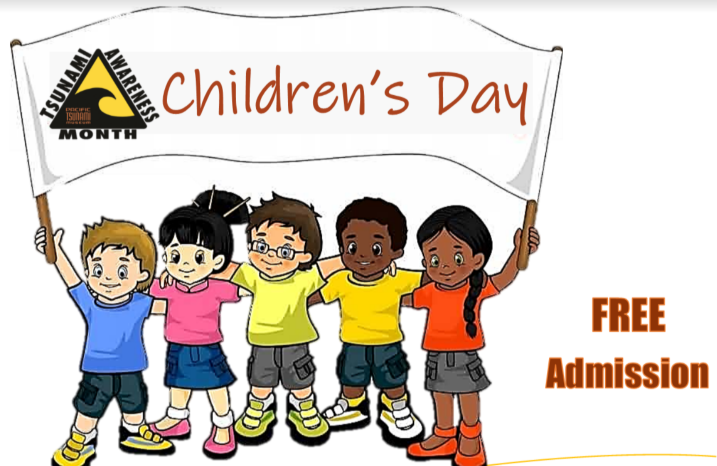 Saturday, April 6; 10 a.m. - 4 p.m.
Free admission - Fun and educational activities for kids of all ages! Today, homeowners continue to enjoy Hilo Bay’s beauty, but many prefer to build mauka (toward the mountain) where they can enjoy sweeping views of the city and take in ocean views from a distance. With a short drive into town, they can visit the ocean and several places that stand as landmarks to past tsunamis. The 1960 tsunami hit a public clock whose hands are forever frozen in time at 1:04 a.m. 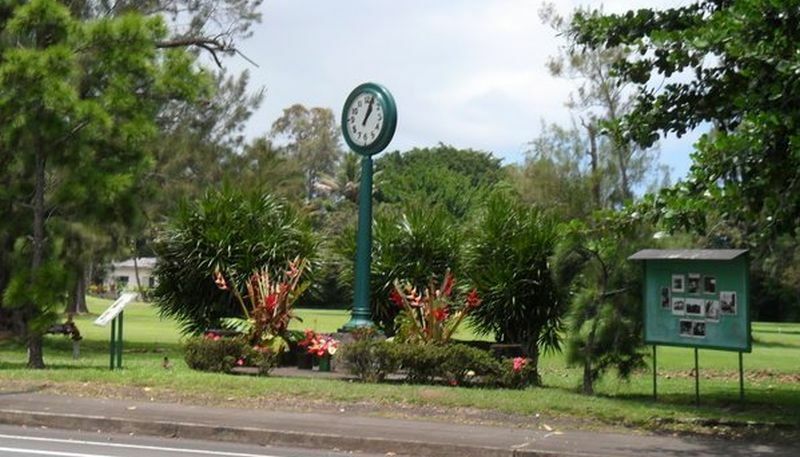 The clock stands vigilantly at Naniloa Golf Course as a reminder of the time of impact. 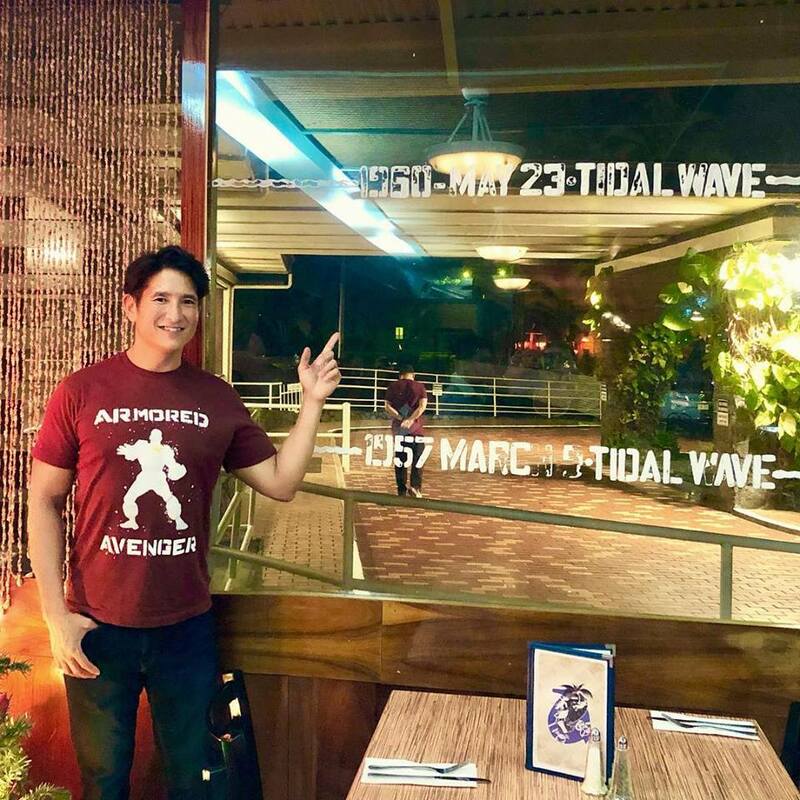 At Coconut Grill, lines on the restaurant’s window indicate water levels during the 1957 and 1960 tsunamis. The Pacific Tsunami Museum preserves Hilo’s history with the ocean and serves as a living memorial to those who were lost. If you don’t live in Hawai`i, tsunamis can sound like a scary thing. But no matter where you live, it’s important to be aware of your environment. Remember, other areas have tornadoes, wildfires, blizzards, or other events that don’t occur here in Hawai`i. For us, tsunamis are just a small part of what makes Hilo unique and why we recognize April as Tsunami Awareness Month.